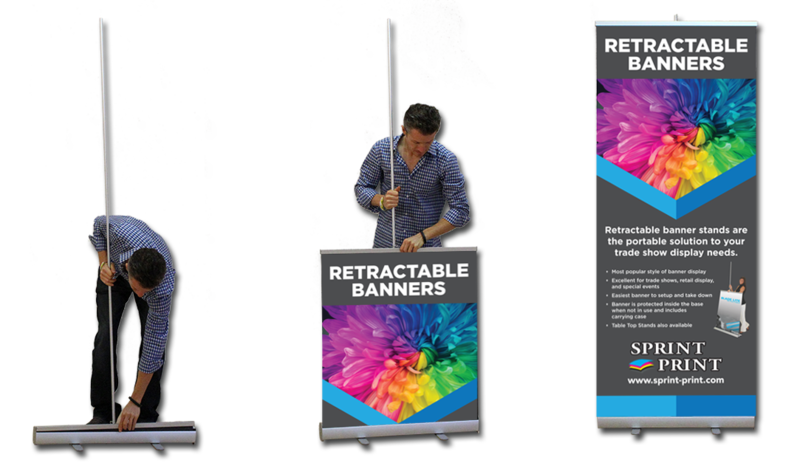 Retractable banner stands are the portable solution to your trade show display needs. Our retractable banners are 35" x 78" and printed on an 11 mil Polygloss Material. We can create a custom design or you can provide your print ready file.